Fall is filled with so many great things from hay rides to pumpkin spice EVERYTHING! 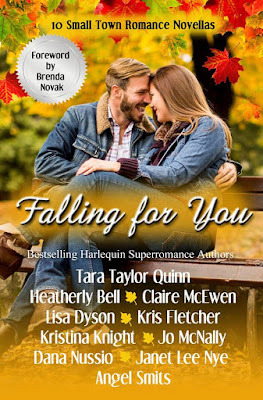 The authors of the Falling for You Anthology are here today to share their favorite fall treats – so pull up a chair and cup of pumpkin spice something and get ready to celebrate fall! Jo McNally, author of Meet Me in the Middle: I love comfort foods like lasagna and beef stew. My Mom was adamant that her lasagna wasn't a "summer food," so she wouldn't make it until fall. There's mention of someone's famous lasagna in my novella, "Meet Me in the Middle," but it was only famous because the fire department had to be called! Kristina Knight, author of Outsider in a Small Town: My favorite fall treat isn’t a food! It’s our annual trip to Ramseyer Farms. They hold a fall festival every weekend starting in the middle of September – there are hay rides, pumpkin spice everything, hay mazes, and all kinds of family activities. We are always worn out by mid-afternoon, but it’s so much fun! Tara Taylor Quinn, author of It Was You: My favorite fall treat is the mini-sized candies! I have a minimal appetite and most particularly for anything rich, can’t eat a lot before I start to feel sick. And…I LOVE milk chocolate and certain candy bars. Butterfinger and Baby Ruth are my favorite. And I’m an M&M lover, too. They have miniature sizes all year, but in the fall, they’re packaged with more varieties and choices, and they’re on sale! Yay!! Claire McEwen, author of Her Hometown Cowboy: For many people, fall means the start of all things pumpkin spice. But not for me. I love apples! Fall is gravensteins and rubenstars and jonagolds and many other crisp and tart apple varieties that I find at my local store and farmers' market. I also love hot apple cider, and apple pie! Janet Lee Nye, author of Finding Harmony: Driving up to the North Carolina Mountains to pick apples, drink apple cider and be amazed at the gorgeous autumn color. Kris Fletcher, author of If I Fall: My favorite fall treat is Apple Walnut Oatmeal. Heatherly Bell, author of The Right Man: Once a year I make my Puerto Rican Rum cake. I look forward to it every fall! Dana Nussio, author of Home to You: I don’t even have to think about that one. My favorite fall treat, hands-down, is Pumpkin Cookies from my family’s recipe. I say cookies, plural, because you can’t eat just one…or two…or three. Especially when they’re warm. When you turn you back to take a tray out of the oven, the cookies on the cooling sheet mysteriously disappear. Lisa Dyson, author of Can’t Help Falling in Love: My favorite fall treat is heartier food. Chili, soups, pumpkin bread. Now the weather needs to cooperate and cool down! Angel Smits, author of Perfect Fit: My favorite fall treat is hard! There so much good food this time of year...oh, who am I kidding, there's always good food! I guess when I think of fall food the first thing that comes to mind is caramel apples. My mom made them every year when the apples ripened and were so sweet and delicious. Yum. It Was You by Tara Taylor Quinn: He has no problem respecting the fact that she is off limits…until the one night he does. The Right Man by Heatherly Bell: When one long planned dream day veers wildly off-course, she must decide between the perfect wedding or the right man. Her Hometown Cowboy by Claire McEwen: Falling for him wasn’t part of her plan. Meet Me in the Middle by Jo McNally: She’s used to playing it safe, but when her old crush comes cruising back into town, she might have to risk it all. Outsider in a Small Town by Kristina Knight: She may hold the keys to his heart…and his future. 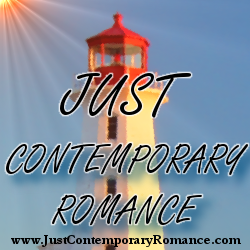 If I Fall by Kris Fletcher: What goes up must fall…in love. Finding Harmony by Janet Lee Nye: Jericho was the last place she wanted to be, but it was becoming the best place for her. Perfect Fit by Angel Smits: She never forgot her first love…and though he never measured up, neither did he. Home to You by Dana Nussio: Can a woman who ran from home and a man who never had it ever hope to discover that home really is a place for hearts? Can’t Help Falling in Love by Lisa Dyson: She’s career-oriented. and he’s the one who just broke her boss’s heart.